Reap the benefits of growing, harvesting, preparing and sharing fresh, seasonal food at your school or centre. Browse below for more information on running a kitchen garden program in your sector. Young children love mixing, rolling, cutting, picking, digging and watering. Learn how pleasurable food education helps children learn through hands-on sensory experiences in the kitchen and garden. The Kitchen Garden Foundation is supporting hundreds of primary schools of all sizes to deliver pleasurable food education. Learn how these schools are achieving big things, even on small budgets. Curious about how a kitchen garden program can be integrated into the secondary curriculum? So are we. 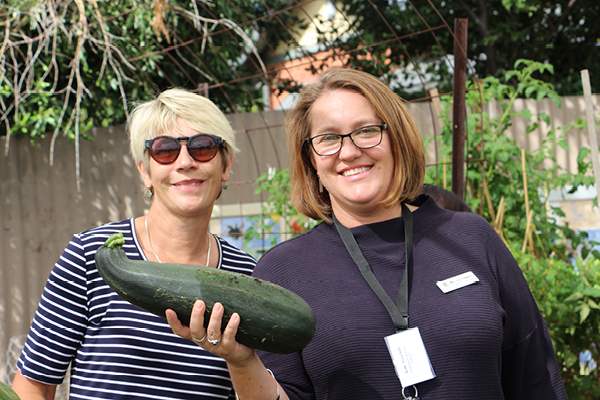 The Kitchen Garden Foundation is now exploring approaches for implementing a kitchen garden program in the secondary years.